A Sunday North Korean missile test shows Pyongyang may be further along in developing a missile capable of hitting U.S. territory with a nuclear weapon than previously thought. 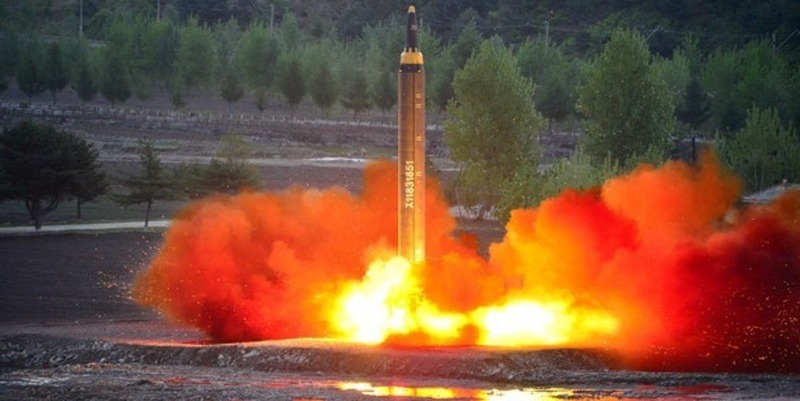 The launch of the Hwasong-12, “represents a level of performance never before seen from a North Korean missile,” wrote John Schilling for the blog 38 North. “The missile would have flown a distant of some [2,800 miles] if launched on a maximum trajectory,” he wrote. Initial reports from U.S. Pacific Command assessed the Hwasong launch did not have the characteristics of an international continental ballistic missile. A Monday report in Jane’s Defence Weekly said the 30-minute flight flew as high as 1,300 miles covering a distance of about 500 miles before landing in the ocean. “The test-fire was conducted at the highest angle in consideration of the security of neighboring countries,” read a translation of a Monday the North Korean Central News Agency release. While the test was successful, it doesn’t mean the North Koreans now have an operational ICBM capable of striking U.S. territory, Schilling wrote. Following the launch, North Korea’s ambassador to China declared Pyongyang would conduct missile tests whenever it likes despite pressure from its neighbors, Russia and the West to limit its tests. “We will conduct ICBM tests anytime and anywhere in accordance with the decisions made by our central leadership,” North Korea’s ambassador to China Ji Jae Ryong. “We are against it and consider it counterproductive, damaging, dangerous,” he said. Putin also said the West shouldn’t attempt to “intimidate” North Korea through military action. For its part, the U.S. issued a strong condemnation of the launch. “North Korea has been a flagrant menace for far too long. South Korea and Japan have been watching this situation closely with us. The United States maintains our ironclad commitment to stand with our allies in the face of the serious threat posed by North Korea,” read a statement from the White House.